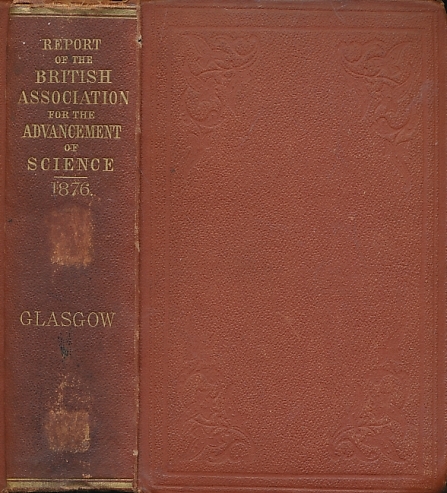 Barter Books : Andrews, Thomas [President] : Report of the Forty-Sixth Meeting of the British Association for the Advancement of Science held at Glasgow in September 1876. 220 x 140 mm (9 x 6 inches) - xxxvi, 316pp, 254pp, xvii, 89pp, 32pp. G : in Good condition without dust jacket. Ex-lib. Spine darkened.